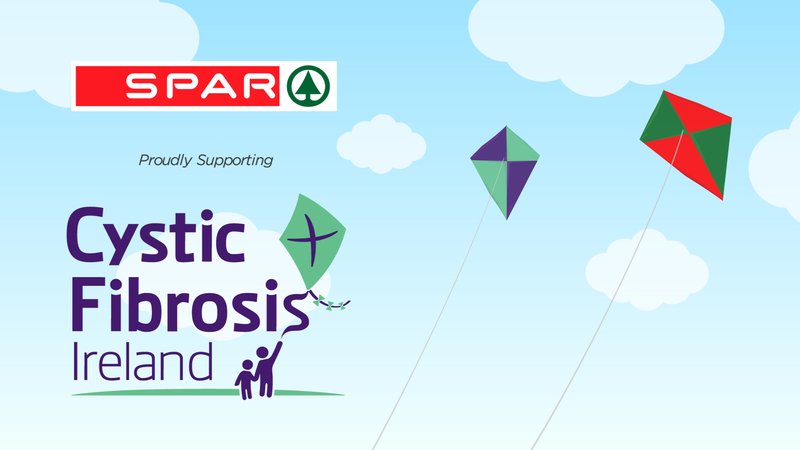 At SPAR we are proud to work with Cystic Fibrosis Ireland as our charity partner. Cystic Fibrosis is a genetically inherited disease that primarily affects the lungs and the digestive system. Ireland has the highest incidence of Cystic Fibrosis in the world. Unfortunately there is no cure for Cystic Fibrosis, but medical and scientific research has greatly improved the treatment of this disease in recent years. Cystic Fibrosis Ireland (CFI) is a voluntary organisation that was set up by parents in 1963 to improve treatment and facilities for people with Cystic Fibrosis in Ireland. CFI seek to provide the best possible quality of life for people with Cystic Fibrosis by raising funds through fundraising and donations from the public. SPAR has vowed to raise funds during 2017-2018 for Cystic Fibrosis Ireland through collection boxes in 400 SPAR stores nationwide, a donation on selected SPAR Own Brand products and through public fundraising for a number of key events. The funds raised by SPAR will be used to support independent living for those with Cystic Fibrosis. This includes providing support for the challenges faced by people with Cystic Fibrosis as they seek to live independent lives for the first time. They face many challenges in areas such as education, health, housing, employment and family support.